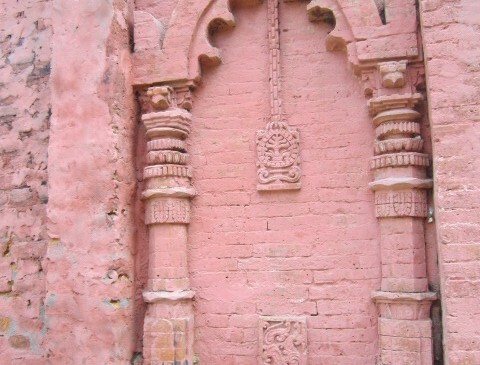 Mahajampur was an ancient Muslim ruled region. This region is situated few miles north to Sonargaon town area. 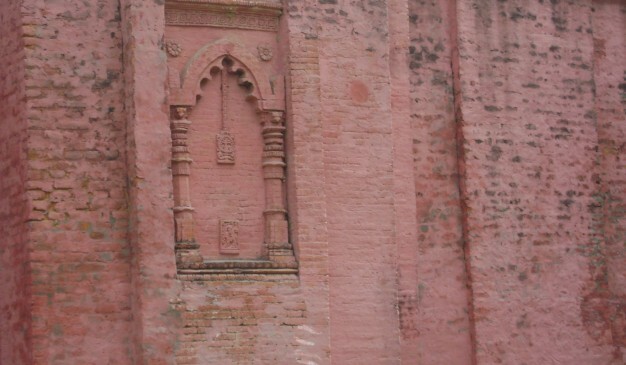 There is a Mosque found here, named Mahajampur Ahamad Shah Mosque, which was built around in 16th C.E. The style of bricks engraving and placement of dome charms the visitors. There are so many Scholars who had described the location and beauty of this mosque at different time in various writing. Among them, ‘Parvin Hasan & A.K.M. Zakaria’ described its beauty in their writing. Many ancient evidences of human settlement has been found along with this Mosque & Mazar structure. Archaeologist found a big quantity of ancient bricks wherever they conducted excavation in that region. 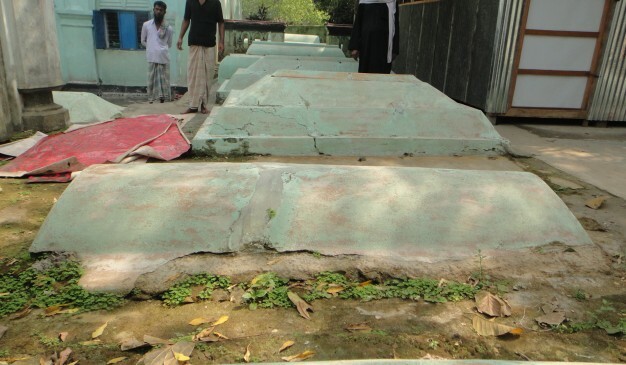 Two inscriptions being discovered from this Mosque. From one of those inscriptions we came to know about Sultan Shams Uddin Ahmad Shah (1432-1436 AD), which make it named after by his name. But, it has been said that someone named Firoz khan built that Mosque. This is a six domed Mosque, which is built following the stylistic beauty of Baba Adam Shahid Mosque. 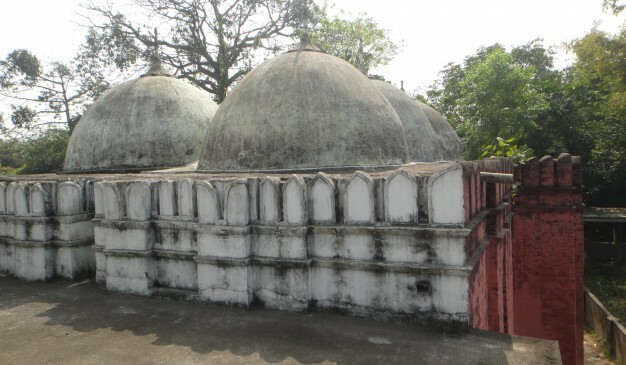 Domes over the roof are bearing the evidences of Sultani Architecture of Bengal. It contains various design and decorations which is certainly something needs to be observed meticulously. It’s just few kilometers away from Mograpara Bus stop. If someone moving through Tarabo Upazila, then you have to step off at Borpa bus stop. From Borpa Bus stop its just 5km east ward and Just near at Mahajampur Bazar. Frequent bus services to Sonargaon operate from Gulistan, Saidabad and other bus stands in Dhaka. Tickets may be bought on roadside counters. The price of the ticket from Gulistan bus stand is around 35 BDT, and the ride may take about 40 minutes, depending on the unpredictable traffic. Mention your destination as Mograpara. You can reach that place using bus from Dhaka (Gulistan). This will take you around 1 hour to reach at the place. You have to get down from the bus at Mograpara Crossing.From the crossing, you have to take a rickshaw, and have to tell the puller to drop you at Sonargaon. This will require 20 taka for the lift. A sacred place to observe the spiritual beliefs, rituals in that region. And if someone wants to study more about the migration of those Sufis and Shadhus in Bangladesh. It’s a perfect place to wondering around. 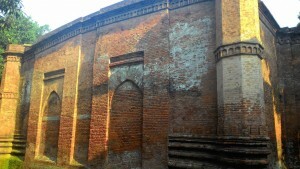 Panam Nagar (পানাম নগর), ancient Painam, a locality now in Sonargaon upazila of Narayanganj district. It is about 2.5 kilometre to the north of Dhaka-Chittagong highway at Mograpara point. 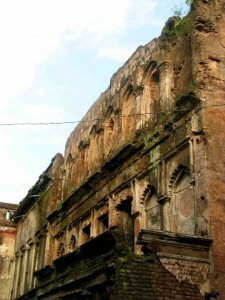 It is said to have been the site of Hindu capital city of Sonargaon emerging in the seventh decade of the thirteenth century. The Panam area formed part of the Muslim metropolis developed on the south of the old city, and perhaps constituted the place of residence of the early Muslim governors'. After the Mughal conquest of Sonargaon (1611) the Panam area was connected with the ruling metropolis by construction of highways and bridges. Panam still possesses three brick bridges belonging to the Mughal period: Panam Bridge, Dalalpur Bridge and Panamnagar Bridge. The existence of these bridges, and the canals enclosing the site on three sides is indicative of its being a suburban area of the medieval city. 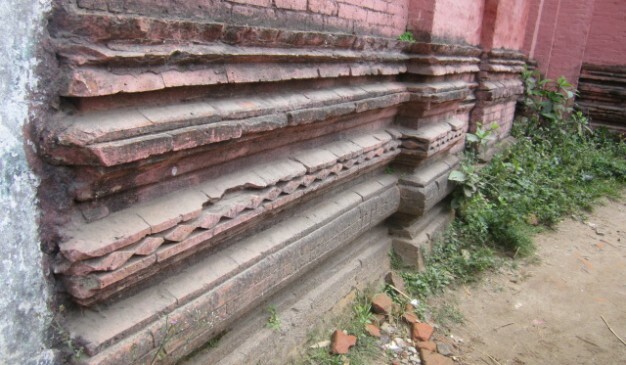 The pucca road which leads from the Mograpara crossing on the Dhaka-Chittagong highway in the direction of Panam extending up to the Neel-Kuthi looks like a dividing line between medieval Sonargaon and the present Panamnagar, the only surviving relics of the Panam area. The Panam township stands on the east of this road opposite Aminpur, and a one-arched humped bridge leads from the same road over a narrow canal to the main street of Panamnagar. In all probability the present Panamnagar grew as a by-product of the commercial activities of the english east india company and of the Permanent Settlement. The East India Company established their factory in Panam for the purchase of muslin and other cotton fabrics. The Company, for the purchase of muslin, used to distribute annually to the weavers from their factory in Panam as much as a lakh of rupees as dadni (dadni system advance), and it is estimated that there were then 1400 families of Hindu and Muslim weavers in and around Panam. Sonargaon developed into a center of trade in cotton fabrics, chiefly English piece goods, during the colonial period, and thereby grew the new township of Panamnagar. A group of Hindu talukdars, who came into being from among the traders in the nineteenth century, chose this site for their residence. The existing brick buildings of Panamnagar, obviously the residence of the Hindu merchant-talukdars, can be dated back to early nineteenth, and the later ones to late nineteenth and early twentieth centuries. Panamnagar which developed in the nineteenth century, continued to flourish till the end of the Second World War. Panamnagar, a unique township, stretched in a single street 5 meter wide on the average and 600 meter in length. All the buildings have the character of urban street front houses and are lined up on either side of this street which ends up at the Panam bazar. Fifty-two houses exist in dilapidated and disused condition having 31 in the north side of the street and 21 on the south. Panamnagar appears to be well protected by artificial canals all around. Two fairly wide canals run parallel to the street on its either side and joined by a narrow canal on the western side over which is the entrance bridge (Panamnagar Bridge). On the eastern side, the canal on the south swerves rightward and goes eastward crossing the north-south road that passes through the Panam bazar. The northern canal, the Pankhiraj Khal, runs eastward to meet the Meghna-Menikhali stream. Balia Zamindar House or Palace is once known as a symbol of dignity in this region. Still some of the ancestors of this zamindari estate living in Kolkata. Interviewing local folks ORB team came to about its identity and partial history, which could be possibly will help to rebuild its actual history in near future. So far we came to know from different sources that, this zamindari was founded by man named Zamindar Malik Muhammad Box (জমিদার মালিক মুহাম্মদ বক্স) who came to this region from Multan. His son Hazi Malik Karim Box (হাজি মালিক করিম বক্স) was chronologically the second successful famous zamindar of this estate who donated a big amount of money from ‘Kashmir & Kyed-E-Azam relief fund’. 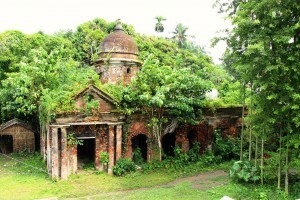 According to the old people of Balia this building is more than 400 Years old. There is a little difference between this Zamindar house with others. 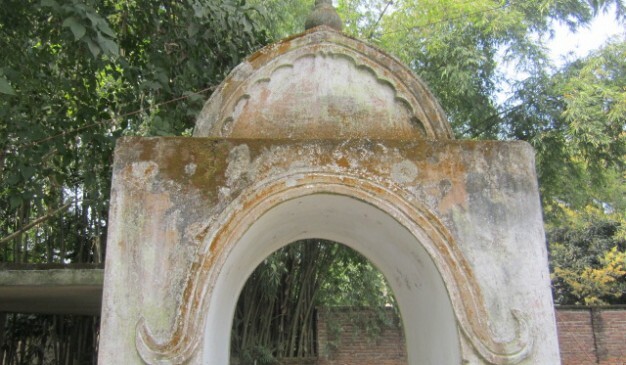 It’s one of the few Zamindari estate in Bangladesh which was being founded by Muslim zamindars where as rest of others being established by Hindu zamindars. This old house is on the way to ruin, most of its building material is being removed. Except its tall dome and a triangular pediment rest others element is lost in course of time.There is a three domed Mosque in front this old House which could be possibly built in some later time. 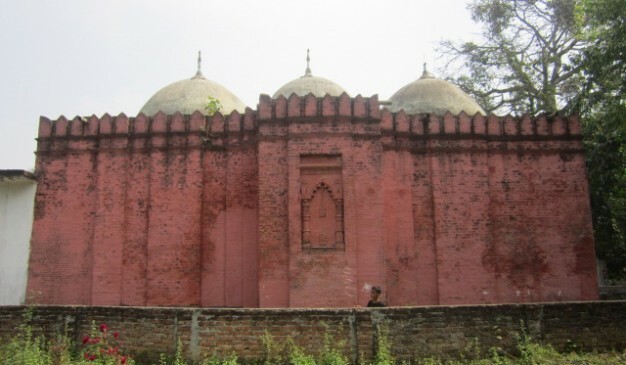 Baba Adam Shahid Mosque (বাবা আদম শহীদ মসজিদ) is an archaeologically significant mosque situated in Munshiganj District. Baba Adam's Mosque shows all the decorative and architectural characteristics of the sultanate architecture of Bengal. This mosque, in fact, bears the mature form of the sultanate mosque style of this region (Bangladesh). It is a six-domed mosque. An inscription, fixed above the central doorway in the east, records 888 AH/1483 AD as the date of construction of the mosque. Malik Kafur built it during the reign of Sultan Fateh Shah. 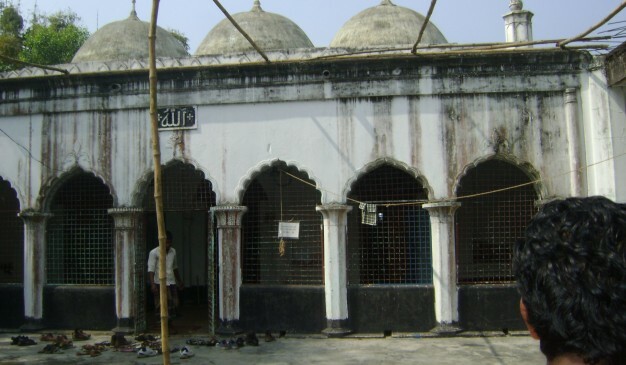 Baba Adam's Mosque is now protected monument under the Department of Archaeology, Bangladesh. It has been renovated and is in a comparatively good state of preservation. Besides the mosque there is a tomb known as Baba Adam's Mazar, where, according to a legend, baba adam shahid, who died in a holy war, was buried. It is difficult to ascertain the historicity of this tomb due to lack of authentic sources. 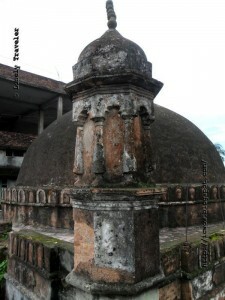 There is a newly built small tomb structure situated on the south-east side of the courtyard of the mosque. Previously, there was no roof over the tomb. The present tomb is square in plan (7.62m a side) and is undated and without any inscription tablet. The simple grave has no feature of architectural importance and the Department of Archaeology is not responsible for preserving it.